When LOUD is just not loud enough, the XS (V2) series of subwoofers will not only blow your mind, but maybe blow your doors off also. The XS (V2) subwoofers incorporate all the latest design and engineering techniques used to make one of the loudest low frequency subwoofers out on the market today. 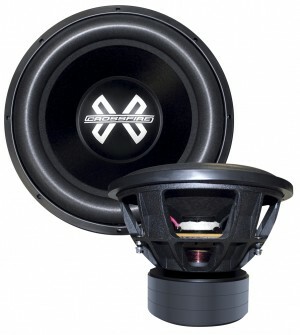 Every XS (V2) subwoofer is HAND BUILT right here in the USA for superior quality and reliability. Incorporating a MASSIVE 4” high temperature flat wound aluminum voice coil, with a proprietary 6 spoke extended and vented cast frame basket, the XS (V2) subwoofers deliver INSANE LOWS and powerful bass reproduction that must be felt to be appreciated.